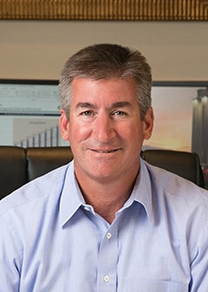 William Zartler, Founder and Chairman, Solaris Oilfield Infrastructure, was recently named 2018 Entrepreneur of the Year, Gulf Coast Area from EY. The award recognizes entrepreneurs who break the mold and create new solutions, innovations and redefine possibilities. He was selected by an independent judging panel made up of previous winners, leading CEOs, investors and other regional business leaders. Prior to founding Solaris, Zartler was a Founder and Managing Partner of Denham Capital Management, a $7 billion global energy and commodities private equity firm. He led Denham’s global investing activity in the midstream and oilfield services sectors and served on the Investment and Executive Committees. Solaris has been a PESA Member Company since 2017.